With a foreword from Kenneth Hewitt, an afterword from Raewyn Connell and contributions from renowned international experts, this book helps address the gap. It explores disasters in diverse environmental, hazard, political and cultural contexts through original research and theoretical reflection, building on the under-utilized orientation of critical men’s studies. This body of thought, not previously applied in disaster contexts, explores how men gain, maintain and use power to assert control over women. Contributing authors examine the gender terrain of disasters 'through men's eyes,' considering how diverse forms of masculinities shape men’s efforts to respond to and recover from disasters and other climate challenges. 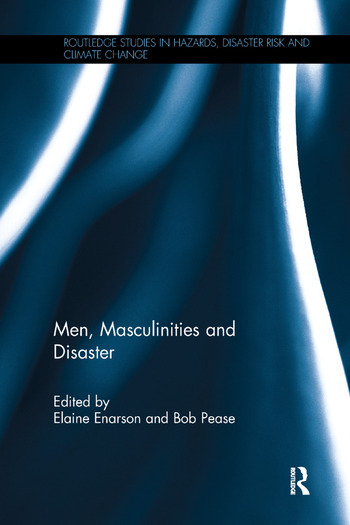 The book highlights both the high costs paid by many men in disasters and the consequences of dominant masculinity practices for women and marginalized men. It concludes by examining how disaster risk can be reduced through men's diverse efforts to challenge hierarchies around gender, sexuality, disability, age and culture. Elaine Enarson is an independent scholar based in Colorado, USA. Bob Pease is Professor of Social Work at the University of Tasmania, Australia.